Ronald Matthews is a highly qualified steel pan tuner as well as being a steel band arranger, performer and steel band leader. His masterful tuning work includes the remarkable Artist Series Lead pans, which he produces exclusively for VistaPan. 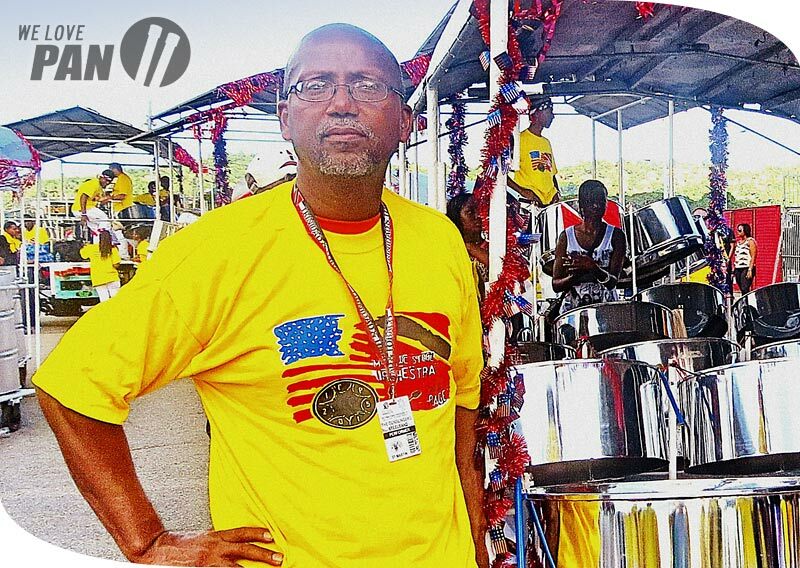 Thirty years ago, Ronald started his pursuit of tuning excellence by completing every available tuning program in Trinidad at the top of his class, including advanced steel pan tuning programs and university level programs at both UWI and UTT. His love for the art of steel pan tuning shows in each instrument he touches. Ronald performs with the large Panorama band, Arima Angel Harps and is their resident tuner. He has traveled extensively to conduct steel pan tuning workshops in the US, the Caribbean, Europe and the Middle East. At the same time, Ronald, who is a skilled musical arranger, has founded and leads a professional steel band in Trinidad called PanExcel Steel Orchestra, which he also uses as a vehicle to teach others about the art form. He enjoys exploring other parts of the world, and is especially enthusiastic about advancing the steel pan movement wherever he goes.